Sun Basket vs Green Chef | Which is right for you? + $40 OFF! 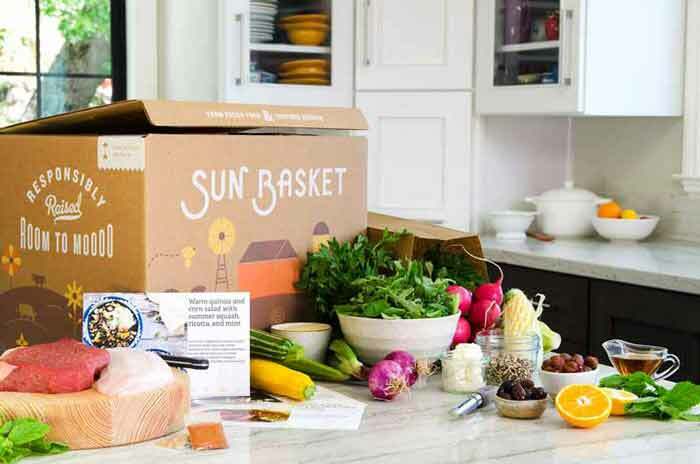 Sun Basket vs Green Chef — Which is right for you? We all know meal delivery services are convenient. They can save you a trip to the grocery store and significant prep time in the kitchen with their pre-portioned ingredients and easy-to-follow recipes. But for discerning eaters looking for organic ingredients, or for people wanting to stick with a specific diet like Mediterranean, Paleo, Keto, or gluten-free, these time-saving services used to be somewhat off limits. That changed in 2014 with the arrival of two new meal prep delivery services: Sun Basket and Green Chef. These two companies have both made it their mission to combine the convenience of the meal delivery model with the structure of popular diets and eating plans. The two companies have a lot in common — but also a few key differences. Green Chef has higher average customer reviews, offers a Keto plan, and balances 100% of its carbon emissions through sustainable offset programs. Right now, Green Chef is also offering a special discount: $40 off your first order! Almost everywhere in the continental U.S. excluding AK, HI, and parts of LA. Skip deliveries or cancel anytime? Yes, before weekly cutoff when new shipments are processed. Customers may be eligible for store credit or refunds on a case-by-case basis. 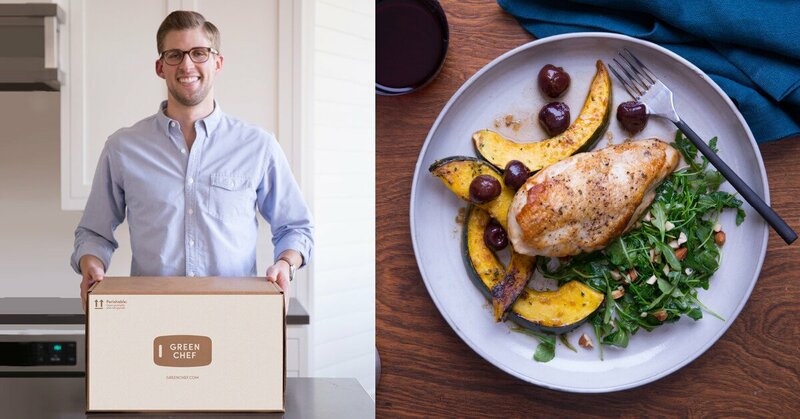 Sun Basket is a San Francisco-based meal delivery service that holds itself to high standards of excellence. The Mediterranean, Pescaterean, and Diabetes-Friendly menus are a key difference between Sun Basket vs Green Chef, who does not have these options. * Even though the Gluten-Free meal plan follows a gluten-free diet, meals are prepared in a facility that handles wheat. So because of the risk of cross-contamination, Sun Basket says these meals are not suitable for people with severe gluten intolerance. A great thing about Sun Basket is the pricing is the same no matter what eating approach you choose. Here’s a pricing breakdown for the different plans and menus. Shipping is $6.99 per order. We've factored it into our "Total cost per week" columns. Feeds two people and can be used with ALL meal plans (Paleo, vegan, pescaterean etc.). Sun Basket’s Family Menu feeds four people with kid-friendly recipes. You can choose from the Chef's Choice or Vegetarian eating plans. USDA-certified organic handler. Currently, over 99% of Sun Basket’s produce is organic. All tofu is made from organic, non-GMO soybeans. Meats and poultry are always antibiotic and hormone-free. Lamb and turkey are pasture-raised. Uses organic milk, yogurt, and eggs. All Sun Basket seafood is wild-caught, never farmed and recommended as Best Choice or Good Alternative by the Monterey Bay Aquarium Seafood Watch® program. On select recipes, Sun Basket offers the option to order organic meat and poultry, including grass-fed, grass-finished beef. Fisheries are certified by the Marine Stewardship Council (MSC), a leading authority in sustainable seafood. According to the popular review site Trustpilot, Sun Basket has a rating of 7.7/10 with ‎2,735 reviews. 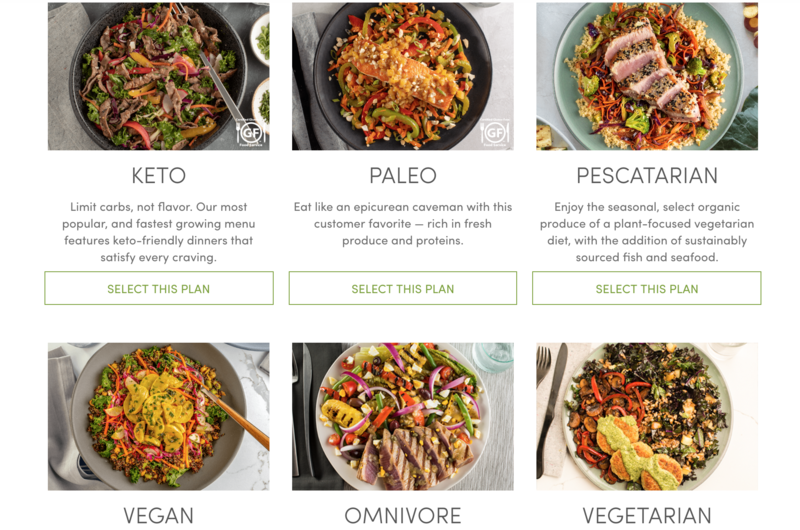 More eating plans to choose from vs Green Chef (including Mediterranean, Pescaterean, and Diabetes-Friendly). Notice the Keto option — a key difference between Green Chef vs Sun Basket, who currently does not offer a Keto plan. Another interesting fact about Green Chef is it was recently acquired by Hello Fresh, to help the German-based meal delivery giant better compete with U.S. rivals such as Blue Apron, Plated, and Home Chef. Here’s a pricing breakdown for the various plans and menus. Note: Green Chef charges $5.99 per box for shipping and handling (vs $6.99 for Sun Basket). Shipping is always included in our "price per week" columns. 2-Person Plan (Three dinners per week). You’ll notice that only the omnivore and carnivore menus are available on the Family Plan. If you’d like to try one of the other eating approaches, you can order multiple boxes of the 2-Person Plan. Visit the “Your Plan” tab inside your account and click on “Edit Plan.” You can then select 1, 2, or 3 boxes per week (additional shipping fees may apply). Gluten-Free Certification through the Gluten Intolerance Group’s Gluten-Free Food Service program (applies to the Gluten-Free, Keto (GF), and Paleo (GF) meal plans). All ingredients go through extensive screening to ensure high standards are met. Balances 100% of their carbon emissions with sustainable offset programs. Worked with TerraPass to save trees in the City of Arcata Community Forest. Invested in construction of the Big Smile Wind Farm at Dempsey Ridge. Provides detailed instructions for how to recycle Green Chef packaging materials. Partners with regional purveyors of high-integrity foods. According to Trustpilot, Green Chef has a rating of 9.3/10 with 296 reviews. Green Chef vs Sun Basket: Which is right for you? Chances are, the best company for you will depend on your situation. Both companies make eating delicious, healthier foods more convenient and hold themselves to high standards. Green Chef delivers to a bigger area, they offer a Keto menu, and their shipping costs are lower. Green Chef also has a Gluten-Free Certification through the Gluten Intolerance Group’s Gluten-Free Food Service program. Sun Basket offers Mediterranean, Pescaterean, and Diabetes-Friendly menus. 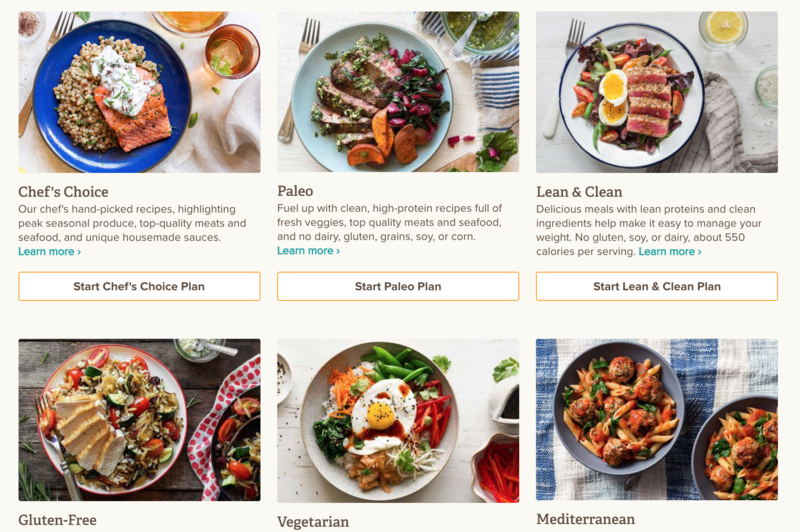 Their Paleo menu is a bit cheaper than Green Chef’s ($11.99 vs $12.99 per serving). Sun Basket also only uses wild-caught seafood that is recommended as Best Choice or Good Alternative by the Monterey Bay Aquarium Seafood Watch® program. On the popular customer review site Trustpilot, Green Chef has an average review score of 9.3 out of 10 (with 296 votes). Sun Basket has a review of 7.5 out of 10 (with 2,749 votes). Green Chef was the United States' first certified organic and gluten-free meal kit company. The company balances 100% of their carbon emissions with sustainable offset programs. Right now, Green Chef is allowing us to offer new customers a $40 discount off their first order. Simply click the green button below to head over to Green Chef and start receiving delicious, time-saving meals. As you decide between Sun Basket vs Green Chef, we hope this review will help you make the decision that’s best for your family!